Anyone who considers themselves to be a serious and passionate lover of House music has surely spent many hours embracing the infectious sounds of RAUL SOTO. This multi-talented artist is truly the definition of a triple threat; vocalist, songwriter, and producer. Hailing from Newark, New Jersey, he has effortlessly carved out his own lane and secured a permanent slot amongst modern day House addicts worldwide. Rauls incredible ability to add excitement and a fresh new flavor to every project he touches, has earned him much deserved recognition throughout the music industry. Known for his Latin Vibe Sound, Raul is in high demand, and featured on numerous banging House tracks with House music legends, including Todd Terry (InHouse Records), Kenny Dope Gonzalez (Dope Wax Records), and DJ MDW (Flava Music Records). 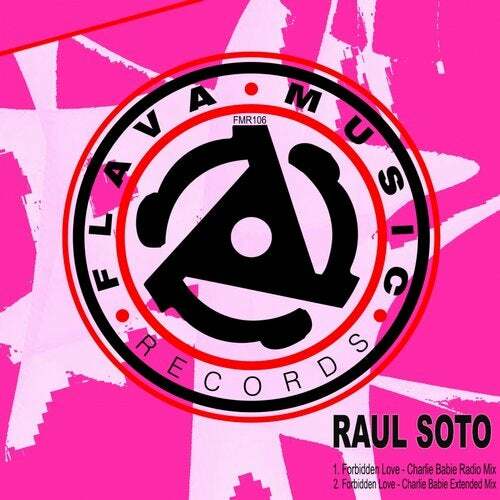 Now after achieving global success within the House community, Raul is switching things up, and showing the world his amazing versatility with his upcoming release, Forbidden Love on Flava Music Records. Already creating a buzz in Chicago and Miami, this masterpiece is on its way to the top of the charts. Written by the man himself Raul Soto, the phenomenal vocalist/songwriter A'Lisa B. (Formerly of the group Max-A-Million), the Freestyle legend/super producer Carlos Charlie Babie. Rosario (20 Fingers), and produced by Rosario, this Latin Freestyle banger is destined to become a worldwide smash and an instant Freestyle classic. Raul Soto has figured out the secret formula that easily satisfies every music fan and DJ across the globe. There are no limits for this musical powerhouse and the best is yet to come. Now Flava Music Records in colaboration these amazing legendary artists have written and produced this Freestyle Mega Hit titled ' Forbidden Love '. Written by Raul Soto, A'Lisa B & Charlie Babie. Stay tuned as this is just the start because the dance remixes are in the works.